Is it Time for You to Tumble? 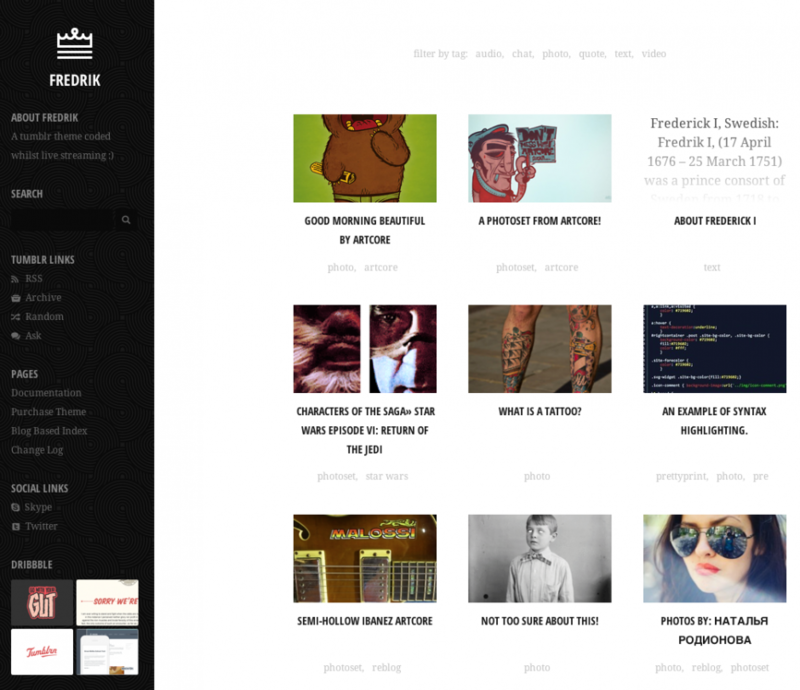 We’ve never been shy about pushing people to examine Tumblr – it’s our favorite micro-blogging platform! The themes can be so much richer and if you work at it, you can achieve just about anything you need to, despite not hosting the site yourself or having to work around code limitations. To inspire you to take a fresh look at Tumblr and all it has to offer as an online repository of your random musings, here are some resources of the most gorgeous themes we’ve seen, as well as examples of themes we’ve modified to match our clients brands. 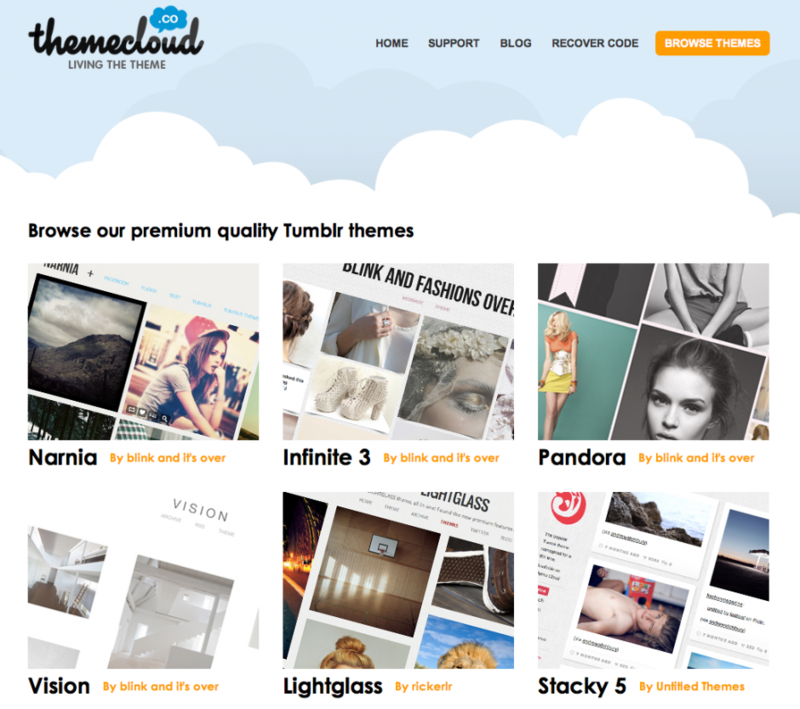 ThemeCloud has some lovely, photo-centric themes that are very clean and neat and not expensive at all – less than the cost of a latte in most cases! 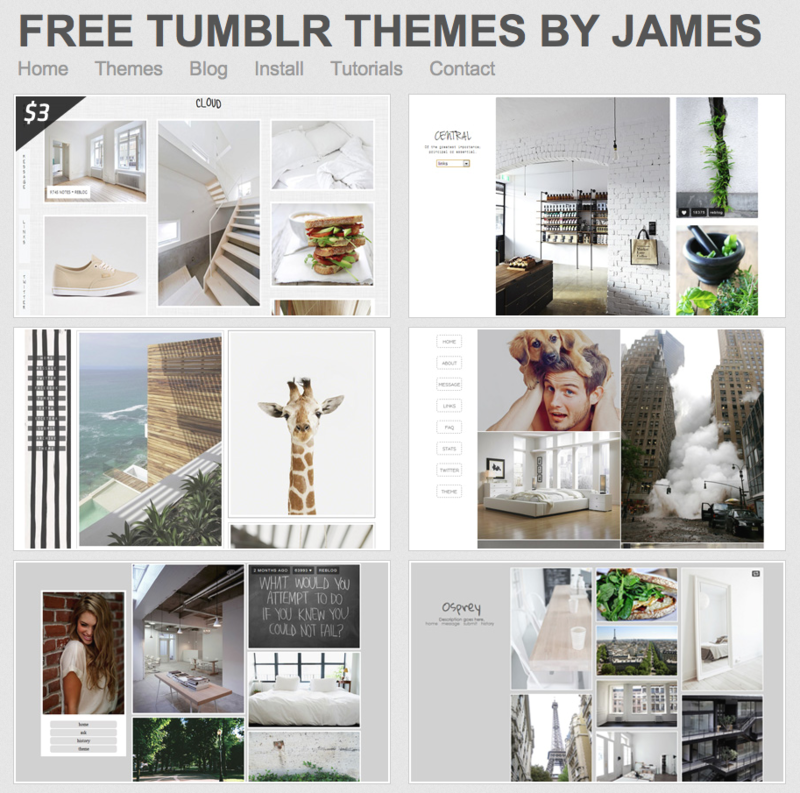 Themes by James also offers photo-centric themes – you need to make sure text-based posts still look good in whatever theme you pick, but the extremely clean look of these themes and free or less-expensive-than-a-latte pricing deserves examination. 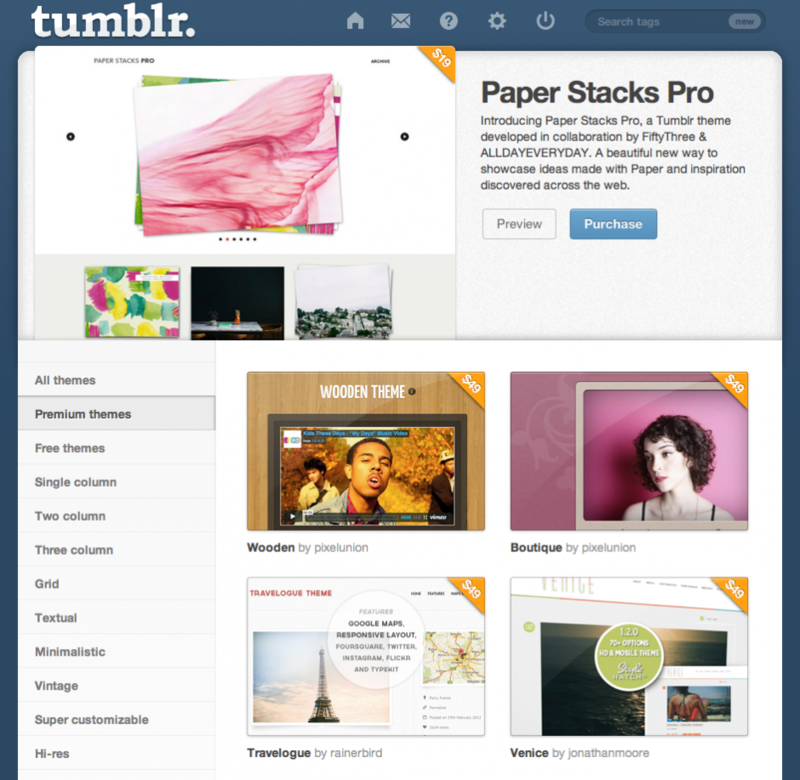 This is a lovely group of Tumblr themes. Tumblr’s Theme Garden has hundreds of free and premium themes, some of which we’ve modified for clients to coordinate with their branding. (We’ll show you some of those examples below.) The benefit of purchasing via Theme Garden is that you can preview the Tumblr for your site before buying it, as well as filter through the many themes with different categories. Premium themes range between US $9.00 – 49.00, and are usually worth the cost because so the design contains so much detail and advanced coding that makers of free themes typically do not spend time on, or have the expertise to code. ThemeForest boasts 66 different themes at this post date, and themes range between (Note, we are a ThemeForest affiliate.) This is a theme we particularly like – the developer apparently coded it while live-streaming! 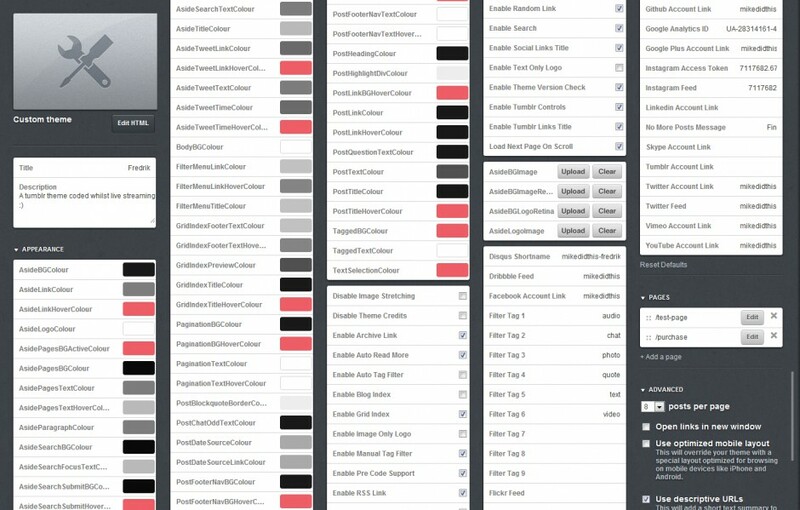 Check out all of his easy-to-alter design options… this is the sort of dedication you get from a premium theme-maker that can make life with your Tumblr much more pleasant. 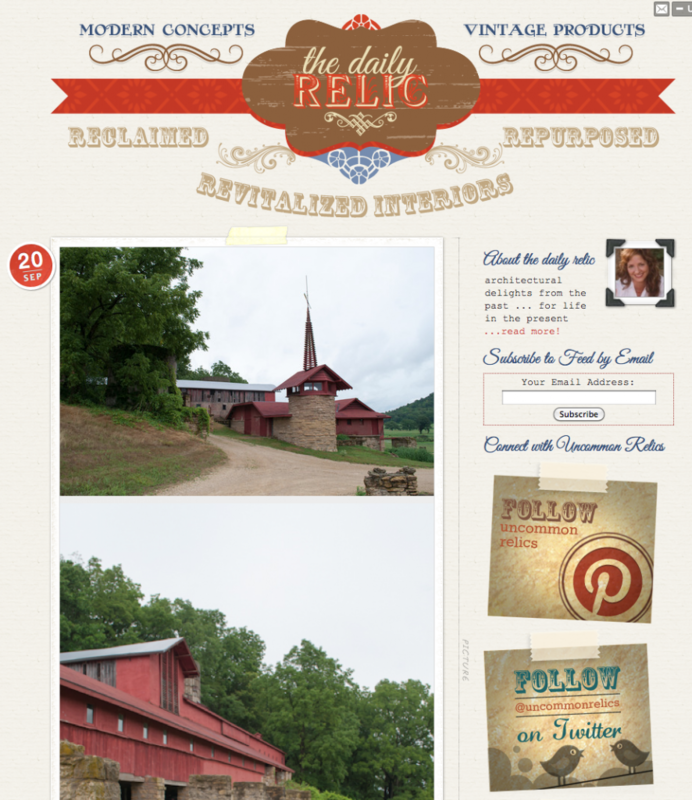 The Uncommon Relics Tumblr was modified to coordinate with the Uncommon Relics website that we designed and developed. The Tumblr is used for quick finds and random thoughts as the business owner is out at flea markets and antique stores, since using the Tumblr app on a smartphone is a really fast, easy way to post an update. This is a modification of “Vintage Scrapbook”, made by Pixel Union who does gorgeous work. Laurel House, aka the Quickie Chick, is always posting new content that has both photos and video. To match her newly designed site we wanted a Tumblr that was responsive and good at showing many mixed media posts at once. When we saw the girly styling of the Juuvy theme by Jonathan Moore we fell in love, and modified it to match the Quickie Chick brand. If you love horses and western gear, we’ve got the Tumblr for you! Client Susie Blackmon has a coordinated set of multiple social channels and wanted a Tumblr to match. 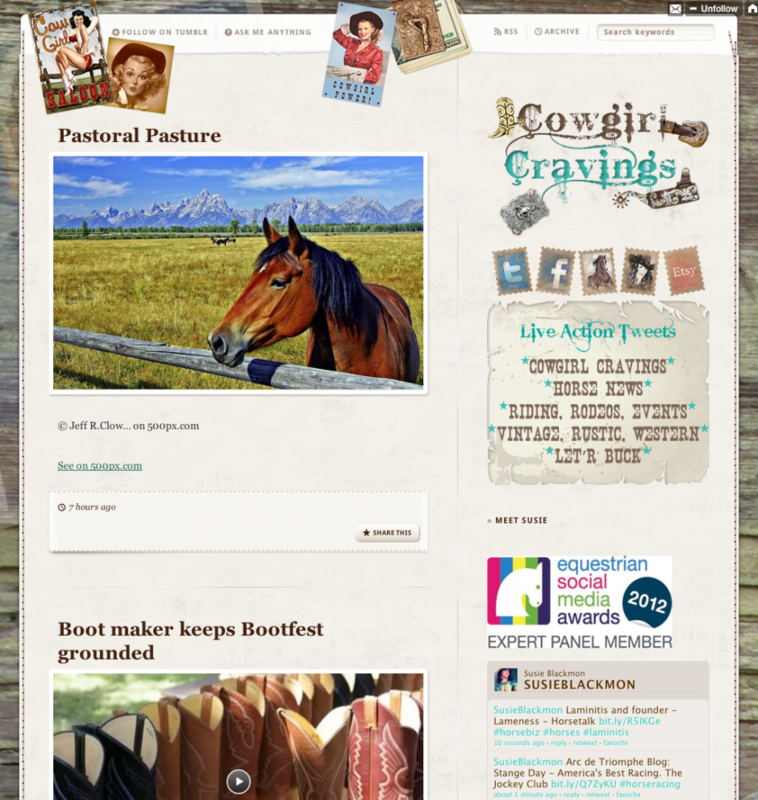 We modified the Cowgirl Cravings Tumblr from the stunning Savory theme by Style Hatch.